How to wear these two forbidden colours to a summer wedding without offending anyone. Wedding season began around October or so and ever since then, every weekend has brought colour, cake, and confetti onto our Instagram feeds, as we marry off our friends, family or colleagues. With traditional weddings being a glorious display of Shweshwe prints, Xibelani skirts and imibhaco, it's both easier and a bit more exciting to choose your getup for this occasion. 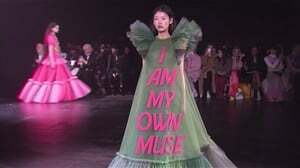 But navigating some dress code rules for white weddings when your wardrobe options are fewer than good Season 15 Grey's Anatomy episodes, is slightly more stressful. Between the no black and no white unwritten decrees, monochrome lovers who suddenly have to wear brights might be overwhelmed. Not to mention the fear of showing up looking like one of the bridesmaids. There are ways around all these rules, though. Fellow rule-breakers (yes, I've worn black and white to weddings before), consider this your cheat sheet for any upcoming weddings this month. I say politely because it is considered inappropriate and impolite to show up to someone's wedding in a white dress. Previously, perhaps even a white suit wouldn't have cut it, but today's brides aren't too strict about that. Anyway, if suits aren't your thing, but white seems like a good idea, this is how you can do it. Reluctant to wear solid white? Polka dots should do the trick. A guest outside Valentino at Paris Fashion Week. 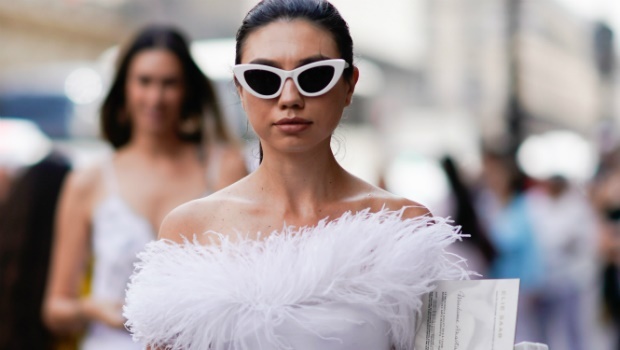 Another way around wearing white is by opting for a short dress/skirt or an atypical cut because chances are, the bride won't be wearing a mini if she goes the traditional route. 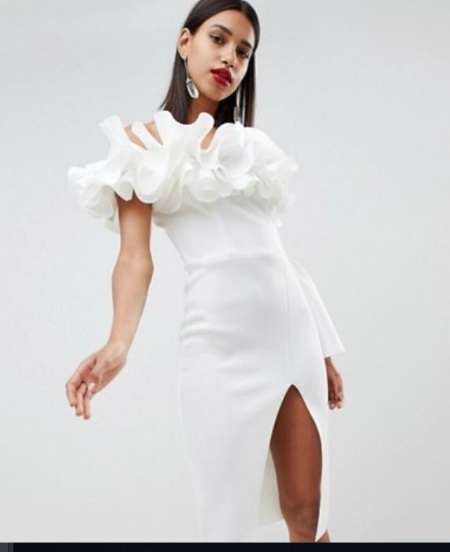 Plus, wearing a white dress that looks like it can be worn more than once at a slightly less spectacular soiree might put the bride at ease because that way, she knows you were not trying to upstage her on her big day. As long as you steer clear of tulle and any other bridal fabrics, you're good. Wearing black to someone's nuptials is sometimes considered a bad omen, which is why breaking this rule also comes with its own set of intricacies. On the one hand, you don't want to look like you're attending a funeral and on the other, you don't want to look like you're about to dance the night away at Onyx. The trick? Wear black in romantic fabrics - chiffon, lace and even tulle. Or make like Issey Miyake and give us some pleats, please! It is a romantic occasion after all. Just be sure not wear black anywhere else on your outfit. Of course, dress codes vary from wedding to wedding, so you can always use your discretion while keeping a few golden rules in mind.